The outer layer of our Mochi dough is made from sweet rice dough that is smooth and soft to the touch. The slightly chewy dough quickly melts in your mouth from the first bite. 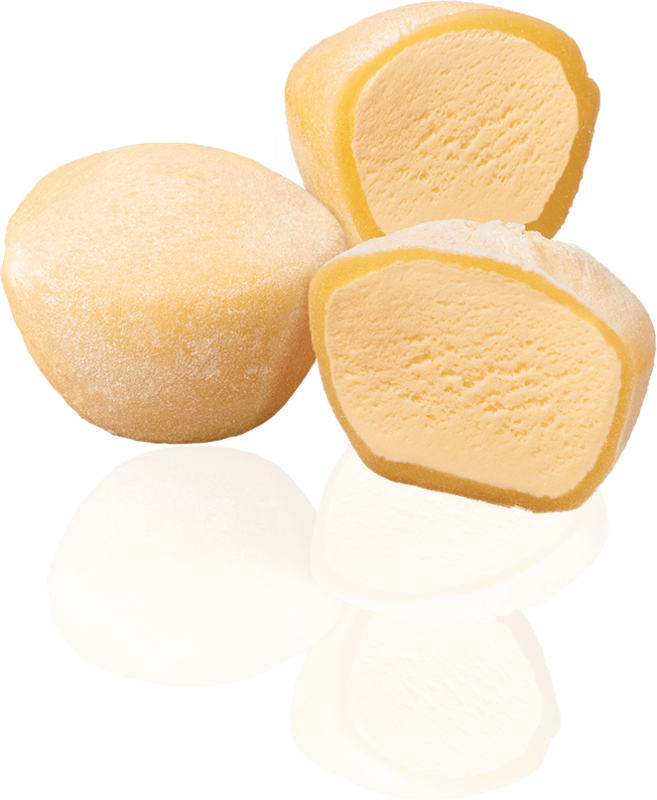 Once you get past the sweet Mochi Dough, you’ll sink your teeth into the delicious, premium ice cream, giving you a unique taste and feel.